Rev. Dr. Peggy Price is the Spiritual Leader of the Seal Beach Center for Spiritual Living, www.sbcsl.org. Previous to her service at the Seal Beach Center, she was Senior Minister of the Huntington Beach Church of Religious Science for seven years. 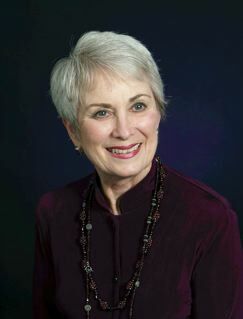 She is a founding member and past President of the Greater Huntington Beach Interfaith Council. Dr. Peggy is the recipient of several awards from international and community organizations for her work in the area of interfaith peace building, and has traveled as the guest of Pacifica Institute, a Sufi peace organization to Turkey in 2005, attended the United Religions Initiative Global Peace Assembly in Mayapur, India in 2008, and has recently returned from the Parliament of World Religions in Melbourne, Australia where she served on a panel at the Parliament – the topic was “The Common Enterprise of Peace Building.” She has resided in Huntington Beach since 1987 with her husband Don Price, and is the mother of four adult children, two adult stepchildren and is a grandmother of seven. Click on button below to listen to the show either live or anytime after first airing.